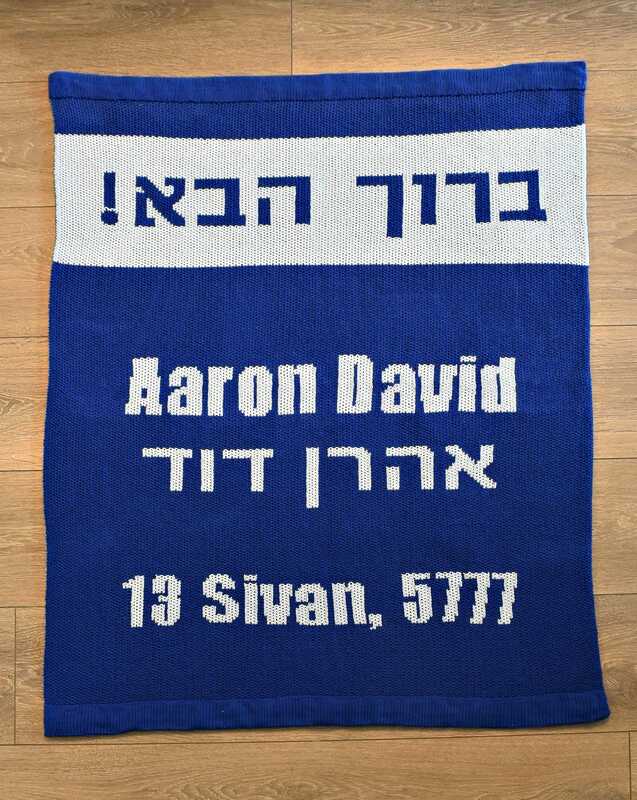 The Baruch Haba custom knit blanket can be personalized with the name of any baby or child. During a Jewish brit mila—or bris—ceremony, when a baby boy is brought into the room, everyone who is present traditionally says “Baruch Haba” (Blessed is he who enters). 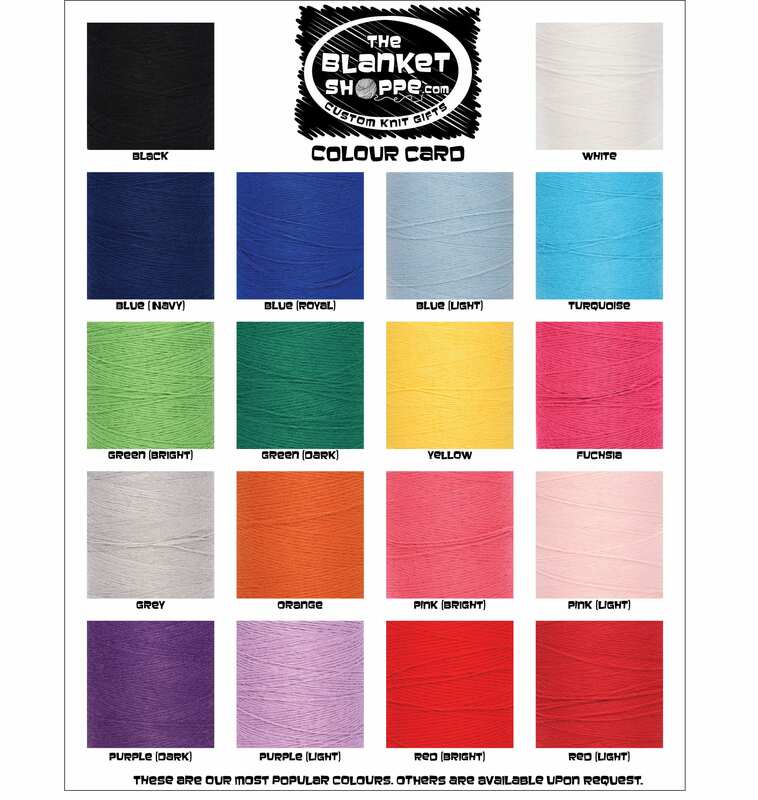 1) The custom English and Hebrew names for your blanket. You can include one or two names for each language. 2) The child’s birthdate, including how you would like it displayed (please see the examples for ideas).